718-533-3401 PORT. AUTH. OF N.Y. & N.J.
A11 LEASEE. PROPERTY OWNED BY THE CITY OF NEW YORK. A110-1 FLOCKS OF BIRDS ON & INVOF ARPT. A110-14 CODED TRANSPONDER REQUIRED. VFR RESERVATION INFO AVBL ON ATIS. A110-17 SHIP MASTS IN APCH RY 31. A110-22 NOISE ABATEMENT PROCEDURES IN EFFECT FOR DETAILS CTC AIRFIELD MANAGER. A110-23 B767-400 AIRCRAFT RESTRICTED TO 10 KNOTS ON TAXIWAYS DD,Z,B AND AA. A110-24 RY 13 PAPI AND ILS NOT COINCIDENTAL. A110-28 H1 LCTD INTXN TWYS BB BTWN TWYS D & F.
A110-30 TWY 'F' & TWY 'D' WEST OF TWY 'BB' CLSD TO ACFT WITH WINGSPANS IN EXCESS OF 125 FT.
A110-31 ASDE-X IN USE. OPERATE TRANSPONDERS WITH ALTITUDE REPORTING MODE AND ADS-B (IF EQUIPPED) ENABLED ON ALL AIRPORT SURFACES. A110-32 OBST SIGN STRUCTURE UNKN (39 AGL) 500 FT E RY 4/22 CNTRLN & 4,800 FT S RY 13/31 CNTRLN. A110-36 HELICOPTER PAD LOCATED AT THE INTERSECTION OF TWY D AND TWY F CLSD INDEF. A110-38 RUNWAY STATUS LIGHTS IN OPERATION. A110-4 SPECIAL AIR TRAFFIC RULES--PART 93; HIGH DENSITY ARPT; PRIOR RESERVATION REQUIRED; SEE AIM. A110-6 MAG ANOMALIES MAY AFFECT COMPASS HDG WHEN USING EXTENSION RYS 13 & 22 FOR TKOF. 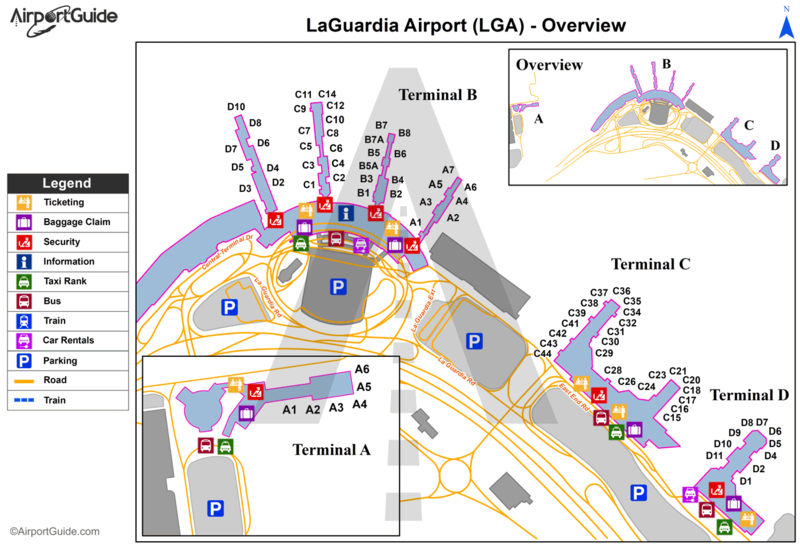 A110-7 TWYS G P R & U CONCRETE DECK RSTD TO 5KT TURNS; 10KTS STRAIGHT. A15 PORT AUTHORITY OF NEW YORK AND NEW JERSEY. A43-13 PAPI RY 13 UNUSBL 8 DEGS LEFT OF CNTRLN AND 9 DEGS RIGHT OF CNTRLN. PAPI & RNAV GLIDEPATH NOT COINCIDENT. A43-22 PAPI & GLIDEPATH NOT COINCIDENT. 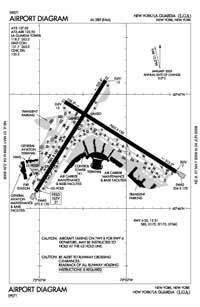 A43-31 PAPI & RNAV GLIDEPATH NOT COINCIDENT. A58-04 +11 FT FENCE 245 FT R OF RY END. 1,400 Foot Medium Intensity Approach Lighting System With Runway Alignment Indicator Lights Standard 2,400 Foot High Intensity Approach Lighting System With Sequenced Flashers, Cat. I Config.